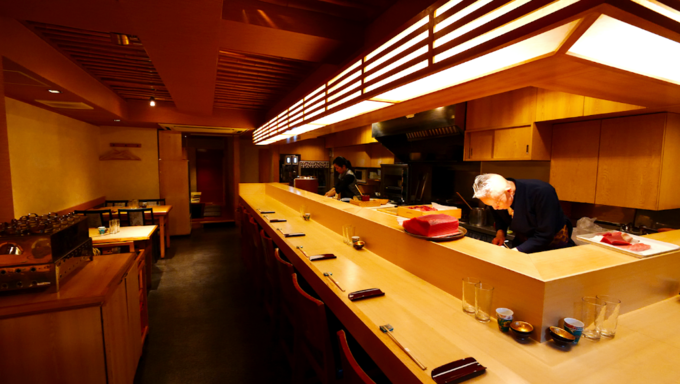 Looking for outstanding traditional edomae style sushi in Ginza? Then this is the place to go! Located at a short distance walk from either Higashi Ginza, Ginza, or Shimbashi station, Haneda Ichiba Ginza 7 is a small gem to discover when it comes to high-end sushi. Ginza abounds in sushi restaurants, but this one stands out for its super fresh "neta" (toppings of the sushi) and comparatively reasonable price. 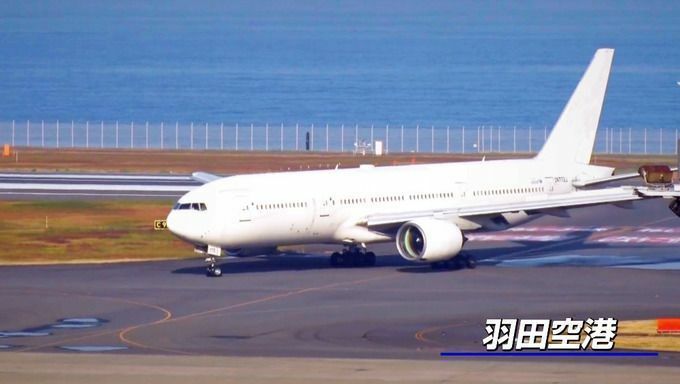 Whereas many high-end Ginza restaurants can easily be ¥20,000 per person for dinner, you can have a sushi platter with an all-you-can-drink sake option at Haneda Ichiba Ginza 7 for ¥10,000. The restaurant's claim to fame is definitely its freshness. The reason why the fish is so fresh is that it comes from Tokyo Haneda Market, which flies in the fish from all parts of Japan. This means you can literally have on your plate some sashimi that was caught on the very same day. It should go without saying that sushi is fresh, but actually, many pricey restaurants in Tokyo have much slower distribution methods that go through Tsukiji or Toyosu markets and other intermediaries. If you want to enjoy the freshest neta, Haneda Ichiba Ginza 7 is undeniably the best place to go. The sushi here is done according to the traditional Edo style called "edomae". A key characteristic of edomae sushi is that the rice is seasoned with "akazu" (red vinegar) which is slightly more fragrant than the clear one and is used to enhance the taste of the neta. Another aspect of edomae style sushi is the performance by the sushi master. It's truly captivating to see him prepare each piece, from the cutting of the fish to the forming of the rice balls and the careful placement on the plate. If you sit at the counter, you will have a prime spot to gaze at the chef in action. Counter seat patrons are served the sushi one piece at a time. What's more, the sushi master here has a good command of English (as long as it pertains to sushi) so for every piece that he serves, he gives an explanation as to what it is in English. The restaurant also has 4-seat tables that are ideal for small groups. 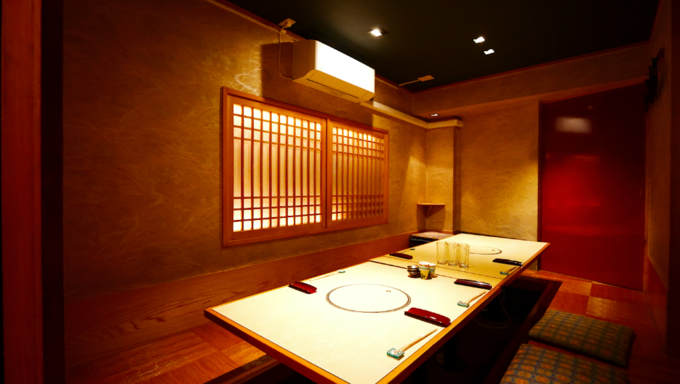 If you are planning to go there in a large group, note that there is a beautiful "horigotatsu" (traditional low table with a recessed floor beneath) private room in the back. A good way to experience Haneda Ichiba Ginza 7 is by ordering the 10-piece nigiri sushi set with the free-flowing sake option (¥10,000). You'll be amazed by the presentation and the sublime taste of each piece. If you dine at the counter, the sushi master brushes just the right amount of soy sauce on each piece before handing them to you. If you dine at a table, you'll be served a plate similar to the one pictured above with the soy sauce for you to brush yourself on the neta of the sushi. This plate includes from left to right: red part of tuna, red snapper, uni (sea urchin), squid, middle-fat part of tuna, herring, very fat part of tuna, red clam, black clam, and anago (sea eel). The selection changes depending on the time of year. Haneda Ichiba Ginza 7 is particular about using the best seasonal ingredients. The sushi master uses some partial cooking techniques too for some items. This piece of bonito fish was done "warayaki" style, meaning that it was cooked over a fire of burning straws. Warayaki is impressive to watch and the taste is also very interesting because the fish gets imbued with a nice woody savour that adds another dimension to this sashimi. For the sake, they have an excellent selection of quality local ones from all over Japan. This is very well worth taking into consideration as most places with free-flowing alcohol options serve cheap, not-so-good items only. Feel free to ask for the house's recommended pairings for the best experience. You might be glad to know that Haneda Ichiba Ginza 7 also serves vegetarian sushi so if someone in your group doesn't eat fish, then these beautiful and tasty creations are also available. Haneda Ichiba Ginza 7 is well worth the try for a special occasion. You get to enjoy edomae sushi made with the freshest neta that is prepared by a hospitable sushi master with knowledge of English to explain what he is serving. ¥10,000 may seem expensive, but it's of excellent value for the price, especially considering that you get free-flowing quality sake to pair with your sushi! The BEST Sushi Bars In Tokyo For All Budgets! Top Things To Do And Eat In Ginza, Tokyo! Food news and dining guides for Japan! We bring you some of most beautiful moments happening around restaurants in Japan.